The cliffs at Mull of Galloway have become somewhat quieter over the past couple of weeks with the razorbill and guillemot departing to spend the next 7 months at sea before returning next spring. There is still plenty of noise to be heard though from the kittiwake rearing their young which are now on average around 4 weeks old with some chicks beginning to exercise their wings in order to build up flight muscles in readiness for fledging. Further around the cliffs there are also fulmar with chicks and plenty of gannet can be seen regularly flying to and from Big Scare. 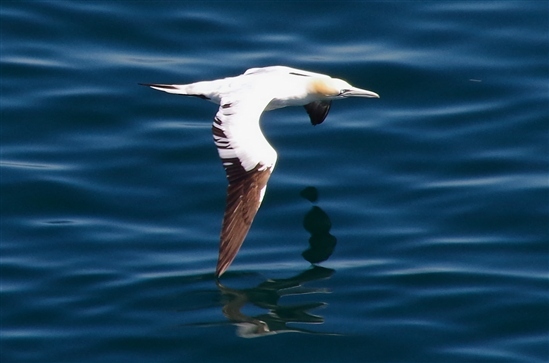 Manx shearwater are also frequently seen out to sea and shag which remain resident all year round are easily spotted around the cliffs. Black guillemot which are also resident all year round can usually be found near to Lagvag viewpoint or from the foghorn. On the heath, large mixed flocks of goldfinch and linnet including many fledlings are easily spotted as they feed on the thistle. 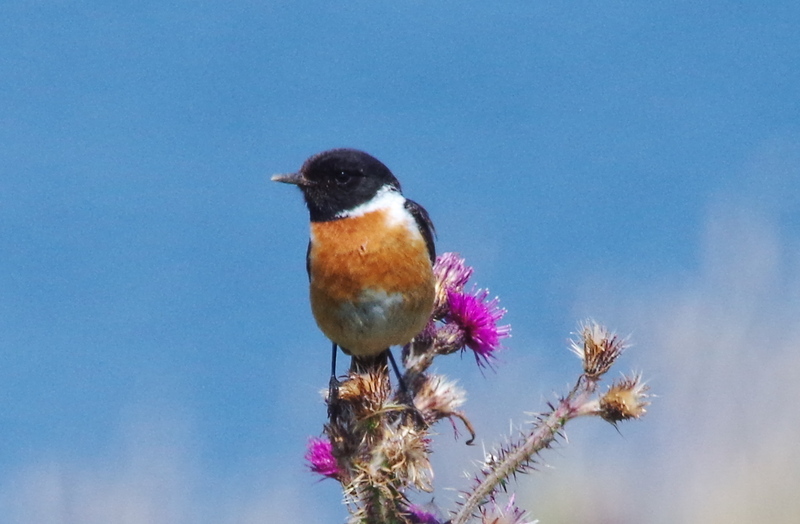 Stonechat are also a regular feature, mainly in the gorse or willow bushes. A male and female blackbird have been seen often near the walled garden or gorse bushes and wheatear can usually be found around the edges of the reserve. There have been many juvenile pied wagtail hanging around the lighthouse area and feeding over the heath there has been house martin, swallow and swift. 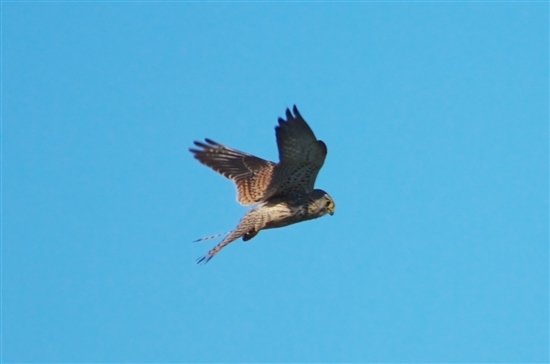 Willow warbler have been seen this week as they begin their return migration and a male yellowhammer has also been spotted. 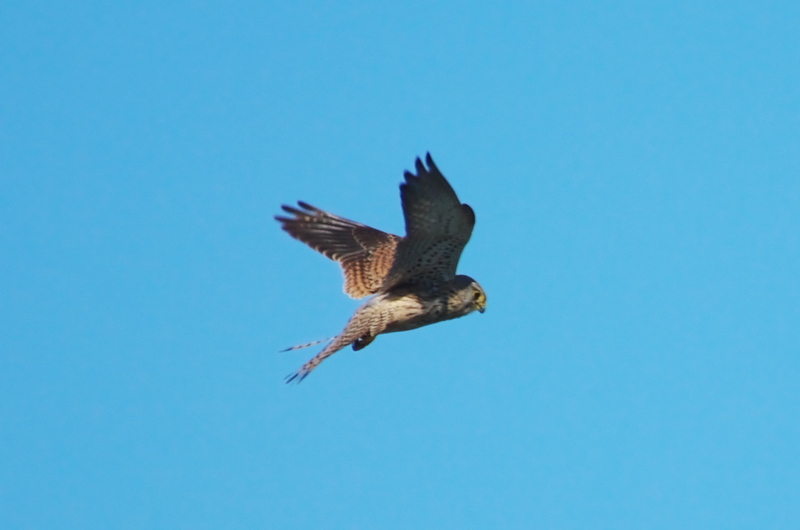 A buzzard has been seen patrolling the cliffs and kestrel can be found most days hovering overhead. Silver Y moths and red admiral, painted lady, grayling, meadow brown, common blue, wall, small white, large white and green veined white butterflies have all been recorded.